When thinking of a romantic activity to do with your significant other, a sweet picnic for two is hard to beat. Taking some time out of your busy schedules to enjoy each other’s company with a picnic is a rewarding experience for both of you. Whether you plan a picnic together or decide to treat your sweetheart to a surprise with one, you will no doubt fall in love with one another all over again! There is something particularly moving about dining in the great outdoors where you can bask in the natural atmosphere that surrounds you as you deepen your bond with each other. Picnic foods can range from simple finger foods and snacks to multi-course gourmet feasts, completely dependent on the vibe you are going for. Enjoy an incredible date amongst nature’s remarkable scenery and cozy up with your one and only on a picnic outing. When you are a guest at family-friendly Garza Blanca Resort & Spa or adults-only Hotel Mousai, you will have access to a wonderful range of activities such as the Exotic Experience which belongs to the Signature Experience collection. 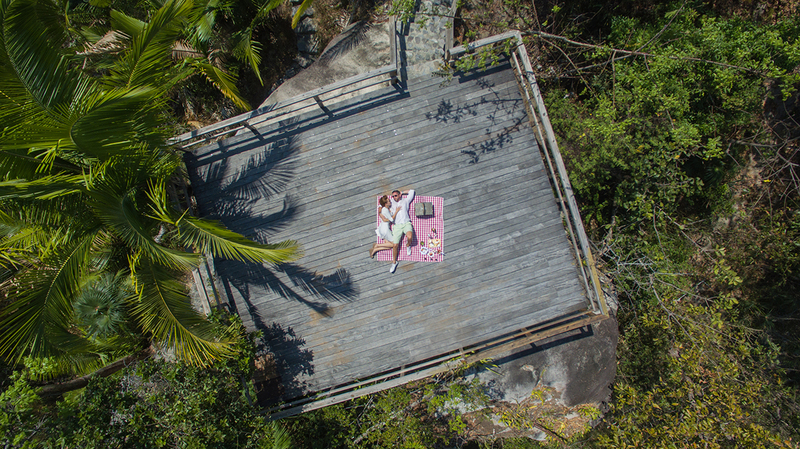 Situated amongst the verdant tropical jungle at the foothills of the peaceful Sierra Madre Mountains, this splendid activity designed for two is a terrific way to usher in some extra romance during your vacation in paradise. The inspiring sights of resplendent flora and fauna all around you is sure to charm you as you take in everything the Exotic Experience has to offer. You will be treated to a scrumptious collection of picnic foods that will tickle the taste buds. The mesmerizing outdoor environment creates the ideal backdrop for a gourmet meal awaiting you inside of a carefully packed picnic basket. Delicious bites include cold cuts, cheeses, empanadas, vegetable crudités with hummus, fresh fruit and tarts. Your palate is sure to be pleased with such an impressive range of foods to sample. 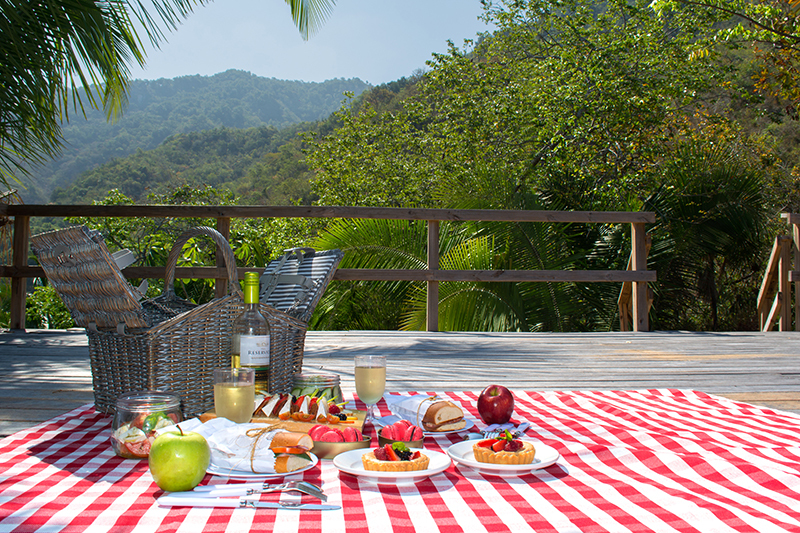 A picnic would not be complete without a yummy beverage, so the Exotic Experience also offers a choice of one bottle of Sauvignon Blanc or Cabernet Sauvignon to enhance your dining experience. If you are interested in booking the Exotic Experience while you are on vacation at Garza Blanca or Hotel Mousai, you can reach out to your concierge who will happily make a reservation for you. 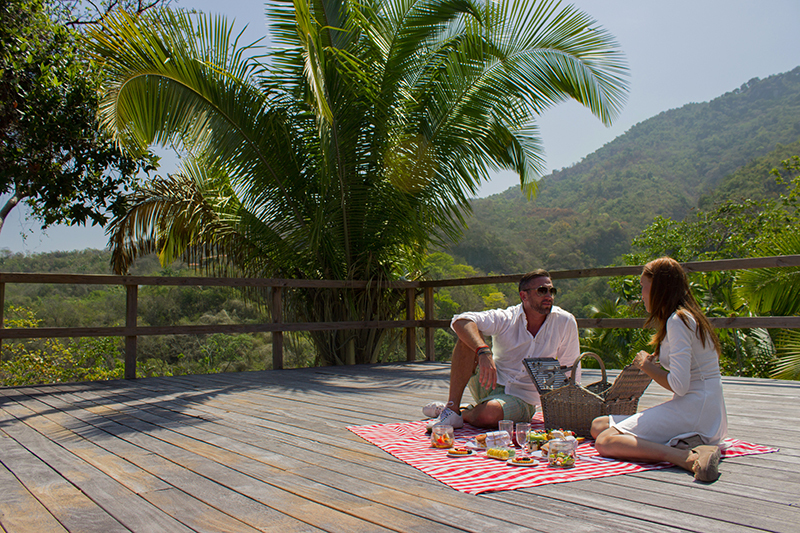 Your picnic for two will take place on the spectacular River Deck where the lush tropical scenery is sure to take your distinctive outdoor dining experience to new heights. You will have full command of the area for two hours so that you can enjoy your picnic at a truly leisurely pace, allowing you to fully appreciate the sights and sounds that envelop you as you dine. Available every day of the week, the Exotic Experience should be reserved at least 24 hours in advance to allow the staff adequate time to prepare an unforgettable picnic you will surely adore! Why not enjoy the picnic of a lifetime during your next vacation by booking the Exotic Experience at Garza Blanca and Hotel Mousai!